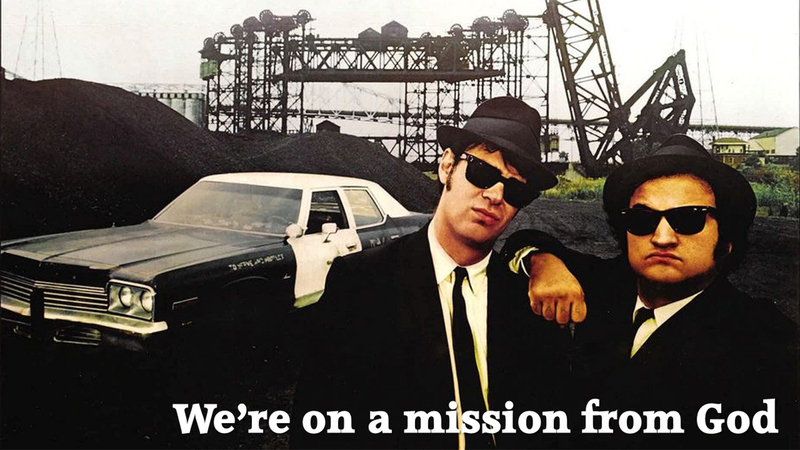 Long before Simon Sinek… and a TED talk that’s now been viewed more than 41 million times… there were Jake and Elwood Blues. If you follow Sinek’s thinking, people don’t buy what we do. They buy why we do it. In other words, to really connect with whoever we’re serving, there needs to be a deeper purpose beyond just selling our stuff and making a profit. But back to Jake and Elwood. Theirs is a tale of redemption. Jake gets released from prison. He and Elwood set out on “a mission from God” to save the Catholic orphanage where they were raised from foreclosure. The plan is to reunite their former blues band, round up the players (including an epic cameo by the Queen of Soul), and play one big gig that delivers the $5,000 needed to pay the overdue property taxes. Sinek says that if you start with a compelling “why” for your customer – a real problem solved… or joy achieved… or difference-maker – then everything else falls into place: how you get there and what you actually sell or offer. Saving the orphanage is everything. The how and the what just fall into place. I’ll admit: some people think this focus on WHY is farfetched. It works in theory, they say – for non-profits and “causes,” and maybe Hollywood too. Just not in real life. Not in their business. But I think it applies in any business. Here’s a real-life example that hits close to home for me. Earlier this year, our family lost John Bil, husband to my niece, Sheila Flaherty, after a long fight against melanoma at age 49. 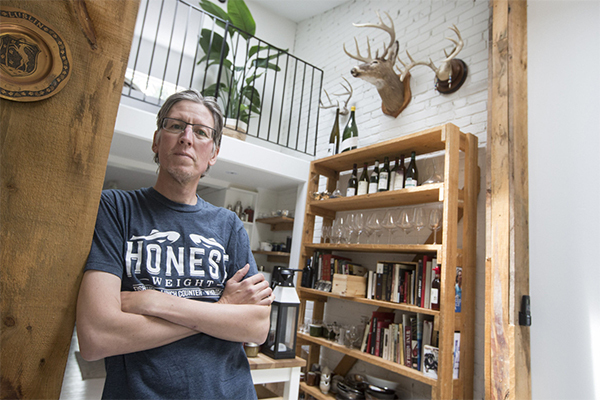 Among many things, John was a humble “oyster guy,” a recognized seafood authority in Canada, and an impassioned restaurauteur who left his mark on some of North America’s finest eateries, including Joe Beef (Montreal), M. Wells (New York) and Honest Weight (Toronto). Here’s how he was remembered by The Globe and Mail. But John went far deeper with his purpose, in a remarkable way… even after he was gone. Turns out, it was also his Why. 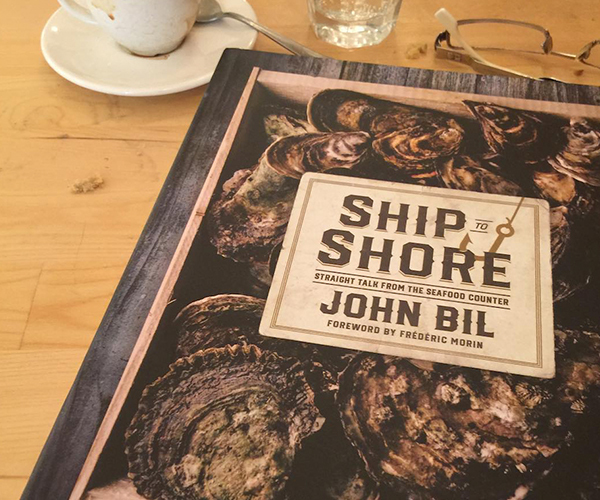 Ship to Shore is part how-to-guide on cooking seafood properly, part manifesto, part inspirational call to action. And, most of all, an example of purpose. In his final months – indeed, his toughest days – John wanted to influence how we see fish, how we appreciate and enjoy it… and shine a light on some of the inherent sustainability issues in how seafood finds its way from the oceans into our kitchens. Catch that? John’s not out to sell us fish. It wasn’t his Why. He’s trying to sell us on fish – to open us up to experimenting with it, doing so thoughtfully, and preparing it properly so we enjoy it even more. So, no, I don’t believe ‘starting with why’ is BS. The opposite, actually. It helped Jake and Elwood Blues save the orphanage. It helped John Bil too, in his own humble way, at his toughest time. And I believe he’s helping us. Even after he’s gone. How’s that for a Why?